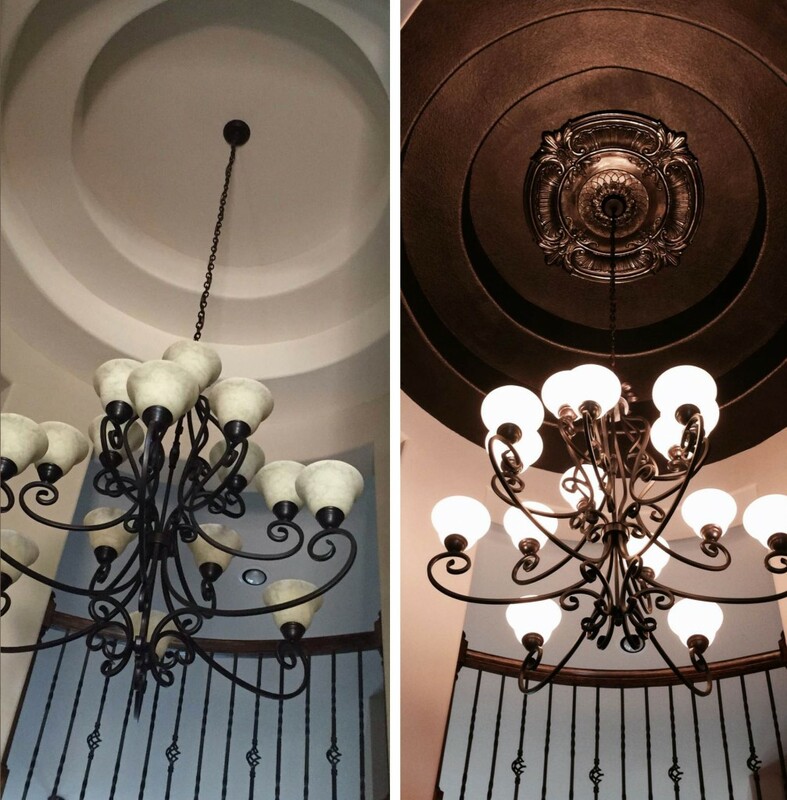 Lisa from Texas sent in before and after photos of her ceiling medallion project! 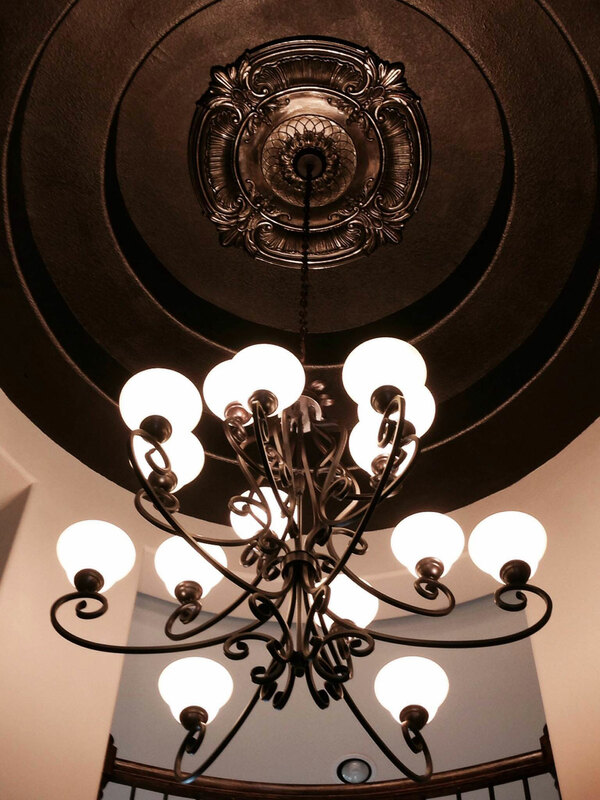 She used our Attica Ceiling Medallion to give her rotunda a face-lift. Check out the great photos below, what a difference!